This is a statement released from the Mayor's office, it was e-mailed to me this morning by a city spokesperson. It's the official statement from the City of Dearborn regarding the Michigan State Police raid at City Hall yesterday that is part of an on-going embezzlement investigation according to media outlets. Obviously this sort of news conjures up speculation and rumors on social media. It is very important to allow this investigation to play out and not jump to conclusions. It is also important to repsect those involved and the process at this time. Obviously I am in no way a spokesperson for the city but as the President of S.O.D.A. I feel obligated to give the members of our group the official statement because we are all tax payers and all have a vested interest in the happenings in our city. DEARBORN, Mich. – The City of Dearborn is cooperating fully with the Michigan State Police, which executed a search warrant in the office of the Dearborn City Clerk on Wednesday, Dec. 16. City Clerk Kathy Buda is an elected official and is independent of any other elected official in Dearborn. The City administration was alerted only moments before the State Police began executing the search warrant of the Clerk’s Office. 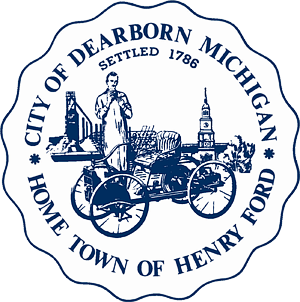 Laurie Ellerbrake, deputy city attorney, said the City of Dearborn is committed to ensuring that elected officials and public servants earn a high level of trust with residents and maintain that standard every day. “The State Police are in charge of this investigation and we don’t have details at this point, but we are cooperating fully with them. If there is a problem, we want it to be addressed thoroughly. And if there isn’t an issue, we want to make sure that that news is understood as well,” said Ellerbrake.